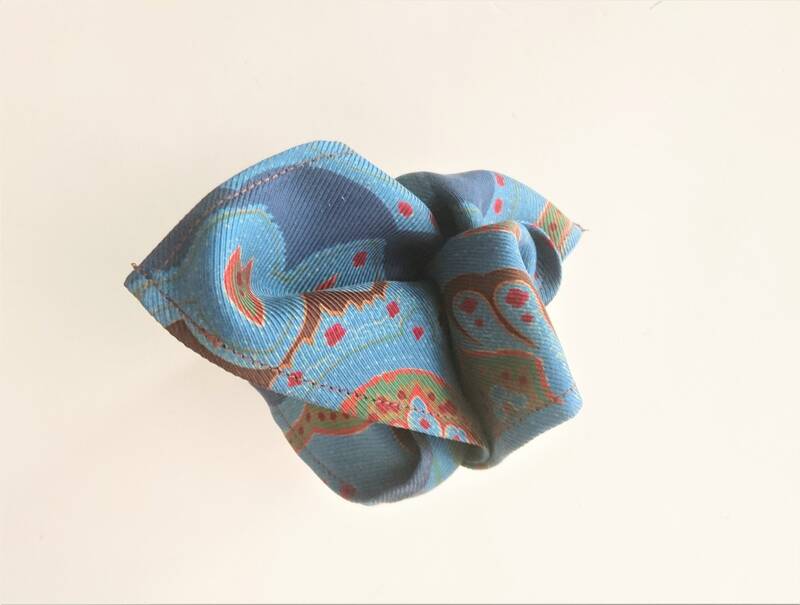 Mens pocket square blue paisley vintage silk. A beautiful pocket square handmade from vintage silk fabric in beautiful paisley blue and green shades. Will make a fantastic gift to your groom, groomsmen or father. Will be perfect for a spring or summer wedding or as a gift for any occasion. See more bow ties here https://www.etsy.com/shop/DinaMalkova. Drop me an email if you need a custom made bow ties and I will be happy to help! Lewes Bow Ties is the winner of the Redesigning Alice competition, run by the British Library in partnership with Etsy UK and to celebrate the 150th anniversary of Alice in Wonderland! 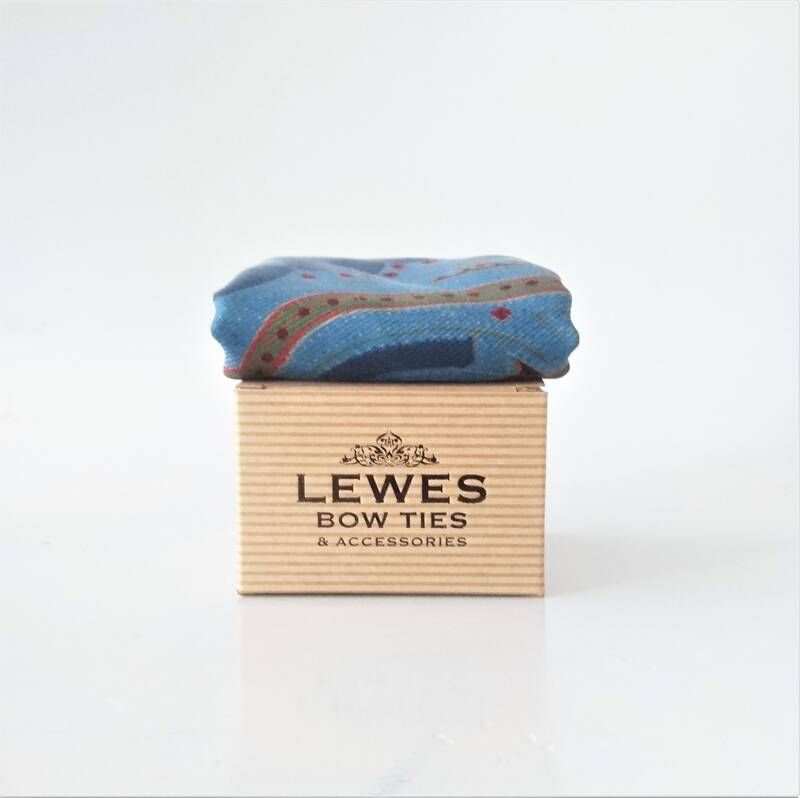 Lewes Bow Ties are hand-made from vintage fabrics in limited numbers. The bow ties are self-tied and adjustable in length, fitting the neck size 15-18''Each bow tie is packaged in a vintage style gift box made of recycled paper.